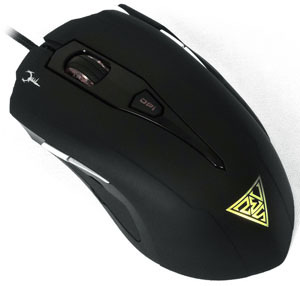 Souris Laser Gaming Gamdias Hades Extension 8 Boutons 8200DPI C'est simple, nous battons tous les prix!!!!! 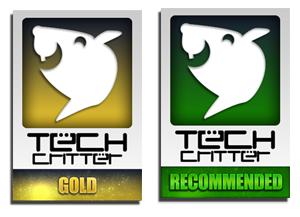 As the most innovative laser gaming mouse, the GAMDIAS Hades Extension has won the Tech-Critter Gold Award and been Tech-Critter Recommended. The three sets of magnetic interchangeable side panels give you the best touch ever! Ergonomically ambidextrous design and 8200dpi high-precision laser sensor make the Hades the ultimate in gaming mice. Three sets of magnetic side panels (small, medium and large) are interchangeable. Players can arrange them in nine different combinations. For example, small on the left and large on the right for right-handed users. Large on the left and medium on the right for left-handed users. Or small on both left and right sides. It achieves the most appropriate gripping position. This gives you the chance to have a perfect hold and touch for your games! The Hades Extension has up to 8200dpi resolution to provide stable and precise operation. With 256K built-in memory and seven programmable keys, gamers can carry the profiles and macros with them, and plug & play on any PC. The left and the right keys use Omron micro-switches which lengthen the life cycle. It is the perfect weapon for players who play for a long time! The laser sensor offers maximum tracking power for precision navigation. 8200dpi ensures pixel perfect accuracy. The 256K built-in memory allows you to store six profiles, macro assignments, and muscle memory achievements. Take the mouse with you, and you can plug and play on different PCs. Enjoy long-term of use with heavy-duty 10 million click lifecycle. 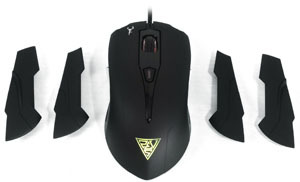 This mouse offers selectable polling rate 125 / 250 / 500 / 1000Hz. Eight keys with five available allow for strategic assignment of macros, profiles, keyboard keys, media controls, windows functions, etc. This mouse harmonizes comfort and gaming performance through three sets of interchangeable side panels. Ergonomically customized to fit your grip style with interchangeable panels. Optimized built-in weight for uncovered gaming through rigorous game play.